Doomsday preppers can live in comfort underground for $35,900. Like many Americans, I’m freaked out by the current state of the world. Between Trump threatening North Korea, Kim Jong-un firing missiles over Japan and articles about how I can’t even condition my hair after a nuclear attack, today’s world kinda makes me want to move underground. And never come out. The other day, after scrolling through a more-apocalyptic-than-usual Twitter timeline, called my dad to ask about the likelihood of being incinerated by a nuclear blast in the near future. Ever the optimist, he said I shouldn’t worry too much. Instead he launched into a childhood story about the nuns at his Catholic elementary school who made his classmates hide under their desks during nuclear bomb drills. No offense to my dad, but living through the Cold War scratch-free does nothing for me in 2017. Here’s what does: Ordering a cush bomb shelter to survive the nuclear fallout. 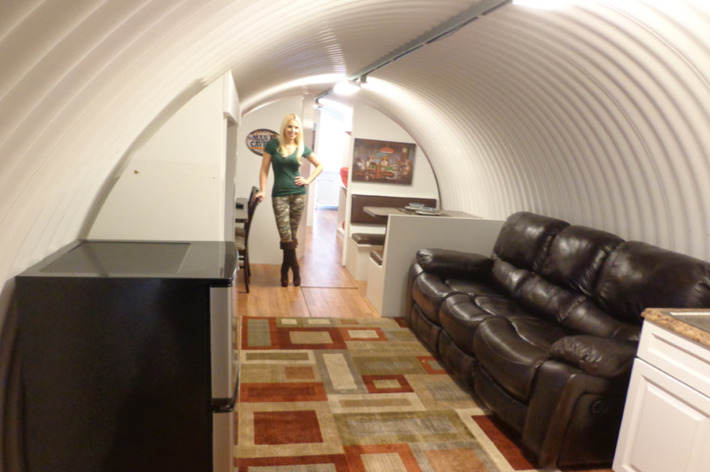 That’s a real bomb shelter made by a California-based company called Atlas Survival Shelters. It’s founders say business is booming. “That will be the day I look back in my history and realize fallout shelters have come back in style,” he says. Hubbard sold 30 shelters in the days following Trump’s remarks and tweets. This year alone, the company has sold over 1,000 units and has had to build a new manufacturing plant to keep up with demand. For comparison, Atlas sold fewer than 12 shelters in 2011, its first year in operation. 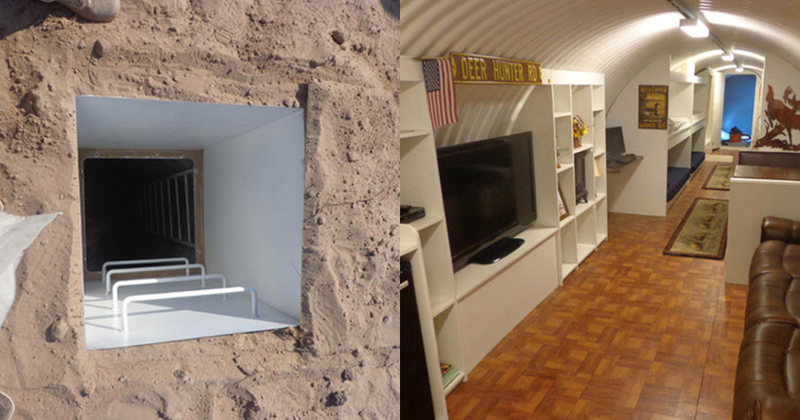 Today’s bomb shelters are unlike any backyard bunker from the 60s. A bunker can run from $10,000 to $100,000 to millions depending on how tricked out it is. Bunkers have the makings of a traditional house: bedrooms, bathrooms, kitchen and living space — plus air filtration systems, hidden doors, reinforced locks and escape hatches to help protect against nuclear fallout. Want a lap pool? Dish out an extra million bucks. The steel structures are also solar powered, because obviously you can’t count on the electric grid still working. “The more politicians talk, the busier I get,” Rising S founder Clyde Scott says in an interview with CNBC. It’s rumored he’s the one building Kimye’s bunker, although he keeps mum on who his clientele is. 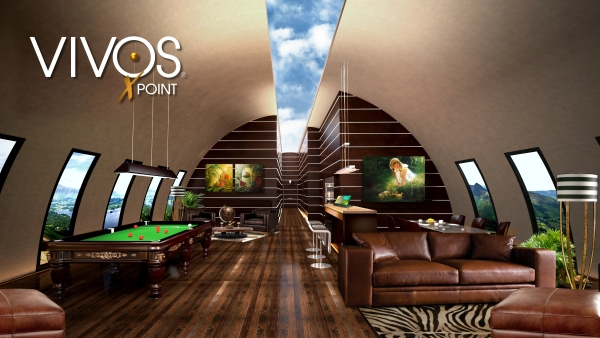 Vivos takes underground luxury to the extreme. Founder Robert Vicino is repurposing 575 military bunkers into a high-end bomb shelter compound in South Dakota. In true bougie fashion, the amenities will be insane. Think movie theaters, gardens, shooting ranges and members-only restaurant and bar. If you’re going to survive the apocalypse, might as well do it in style. Vicino says 50 units have been reserved so far. Oh, and thankfully these shelters come with a lifetime warranty so, you know, if a nuclear blast reduces your living quarters to dust, you can get a new one, I guess. It’s got me feeling like a school kid in the 50s climbing under my desk when teacher tells me to.